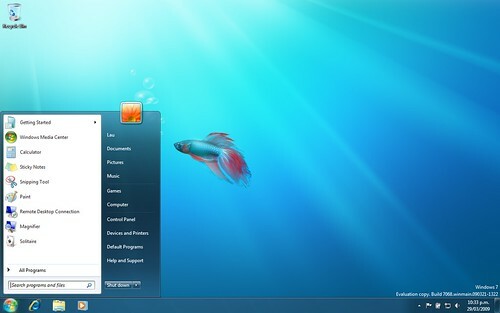 Microsoft latest Operating Systems, Windows 7 is now no longer beta version. It is now become the release candidate version. You can start download the release candidate version starting tomorrow (May 5, 2009) and will be available till June 30, 2009 with no limits on the number of downloads or product keys available. Visit Microsoft website to download Windows 7 release candidate version.